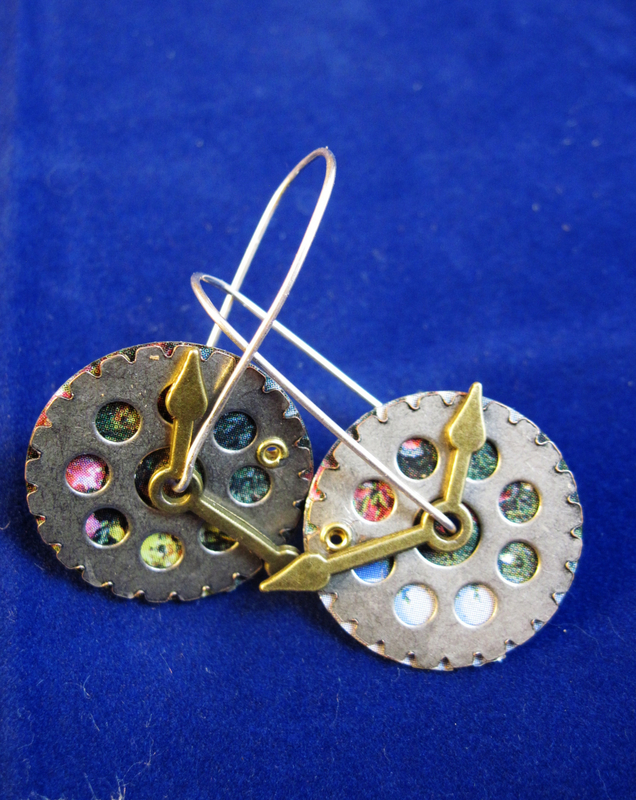 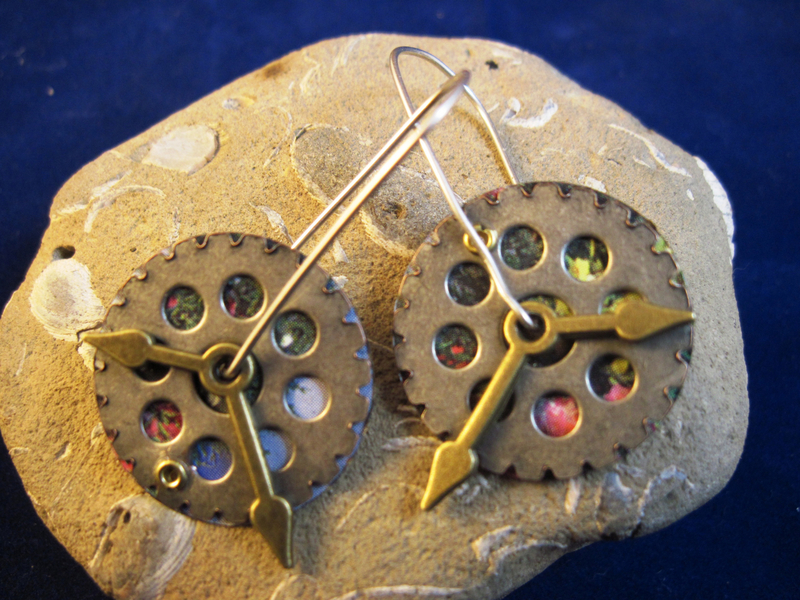 A garden scene from a recycled tin adds various colors to the background of these steampunk gear earrings. 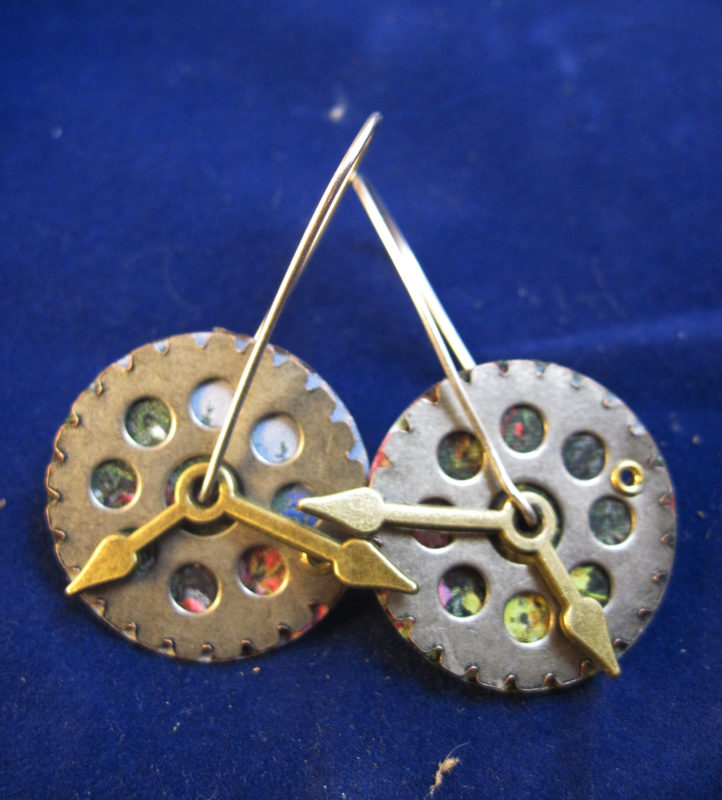 The earrings are about an inch in diameter and light weight. 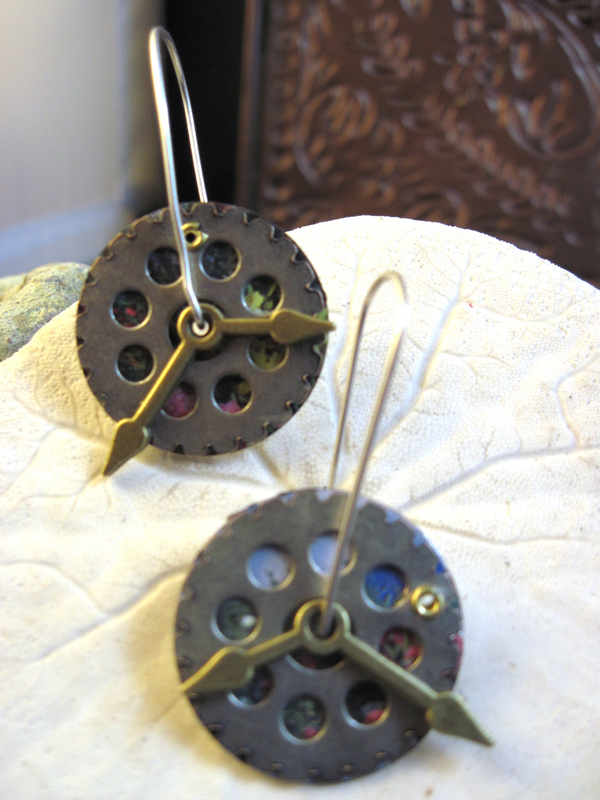 Cold connected to the vintage tin is a base metal gray gear topped with a brass toned set of clock hands. 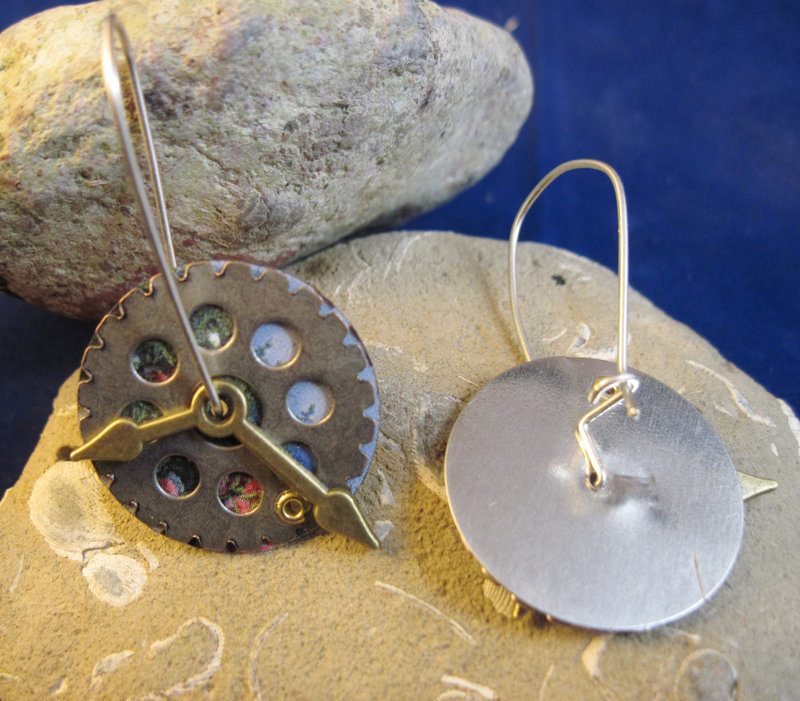 The disc components hang from sterling silver hoop which is about an inch long and hooks in the back with a lever type clasp. 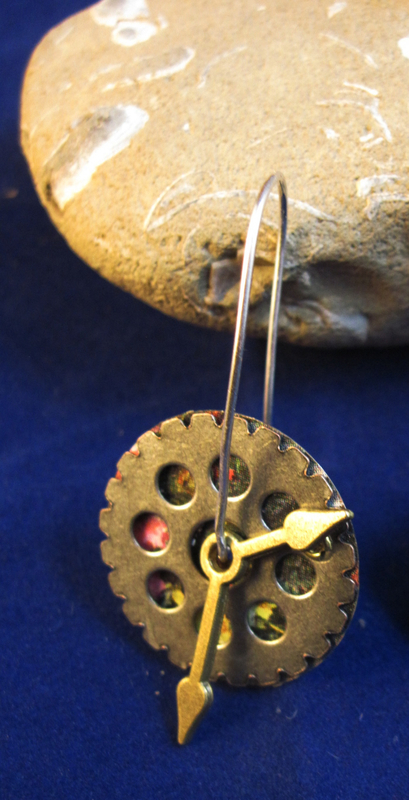 Total length from the top of the hoop to the bottom of the disc is about two inches.